As a huge Van Halen fan back when I was a kid and to this day, I got a kick out of seeing this car come through the lanes. 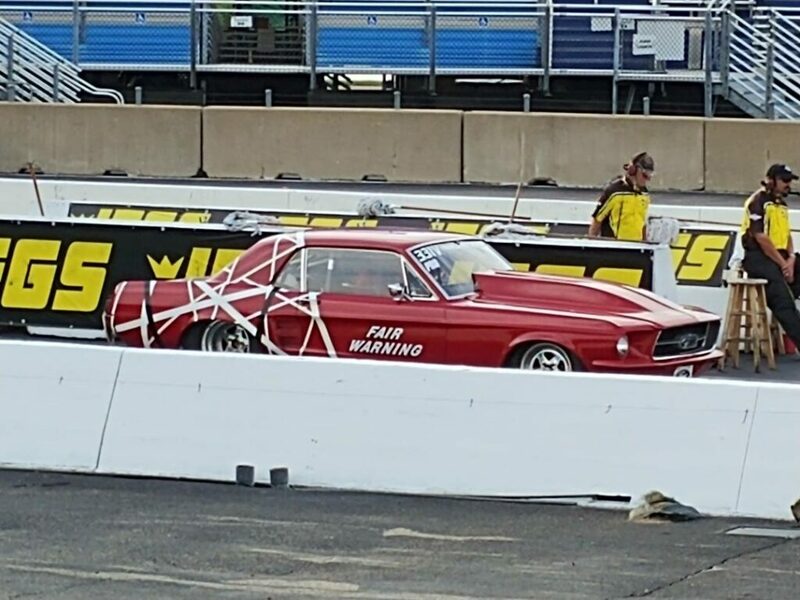 The car is a Ford Mustang, but with the words “Fair Warning” written on the side of the car, he had my respect. Only thing missing as he was staging was maybe “Eruption” playing in the background. Couple of videos from the event. Many nice and extremely fast cars showed up. All getting ready for NMRA/NMCA Superbowl of Street Legal Drag Racing.